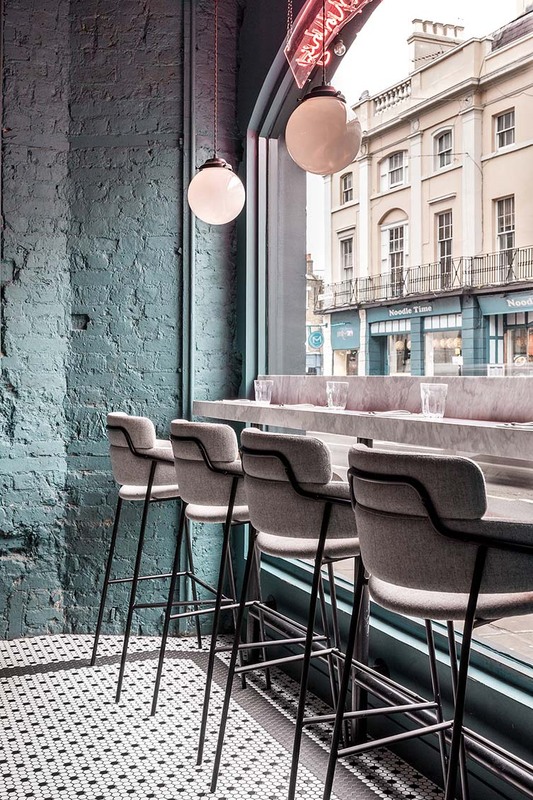 Divided into three distinct spaces in a heritage-listed building—formerly home to the Jamie’s Italian restaurant opposite Greenwich Market—Greenwich Grind is an all-day restaurant, café and cocktail bar that offers a blend of music, coffee, food and cocktails amid typically contemporary interiors. 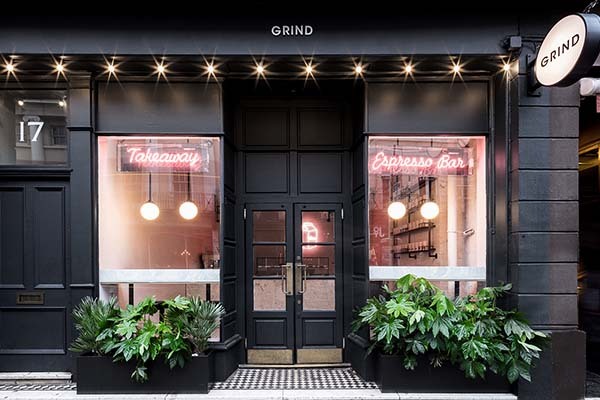 Greenwich Grind marks the brand’s first outside of London’s Zone 1, with the caffeine-led restaurant chain bringing the inner-city Grind experience to this laidback London suburb; a relaxed venue here offering the holistic experience synonymous with the ever-expanding brand, from the grab-and-go deli/takeaway to main dining room and its intimate cocktail bar, The Green Room. 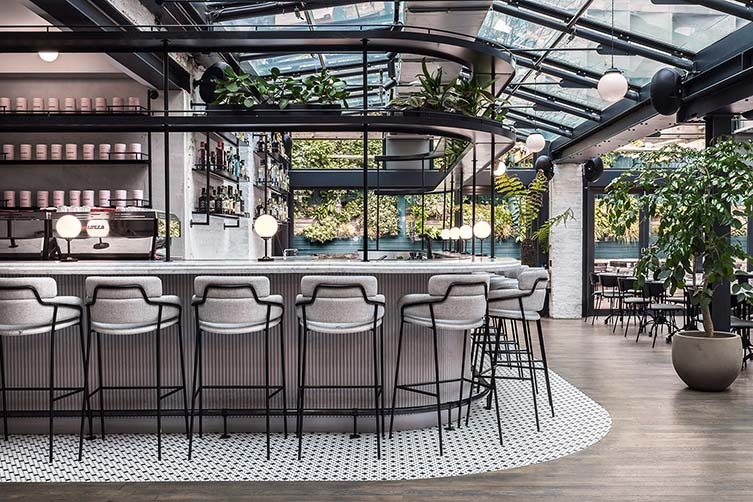 Designed by Biasol, the 12th and largest project to date (following hits across the capital in spots like the Royal Exchange and Clerkenwell) sees the Melbourne-based design office removing all traces of its previous incarnation, keeping only the structural footprint intact. 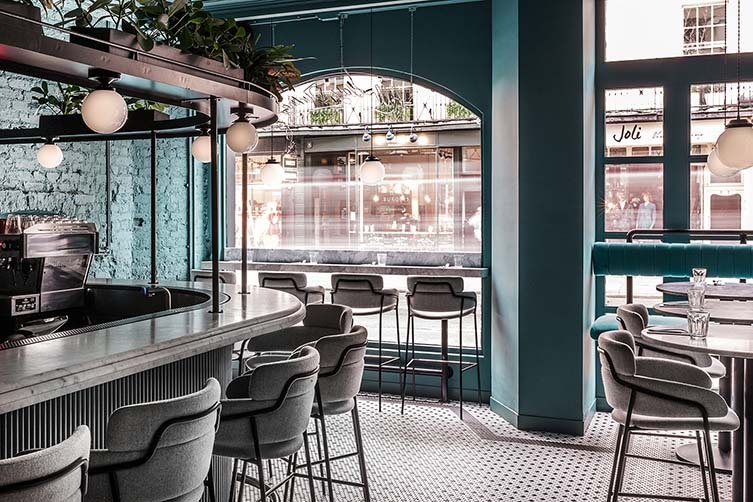 Despite creating three different zones, each flows seamlessly into the next and function both independently and together in harmony; the all-day destination offering something for everyone, locals and visitors alike. 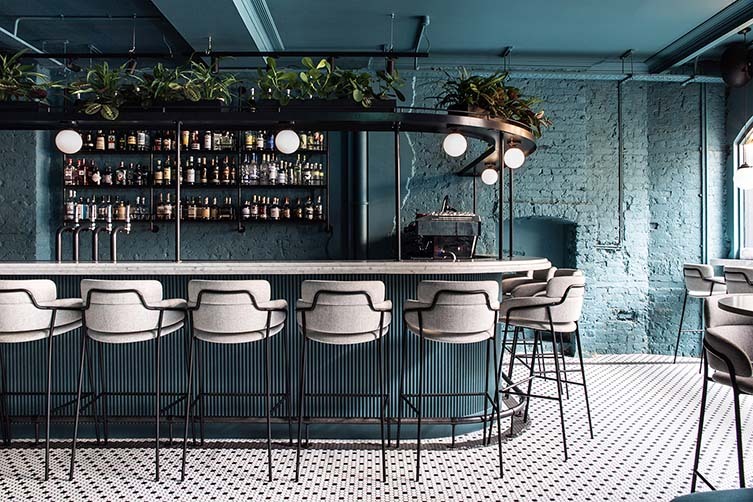 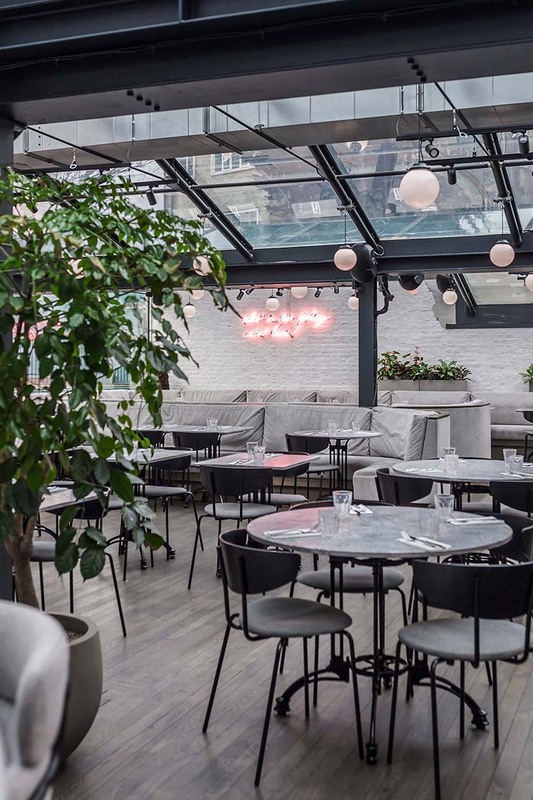 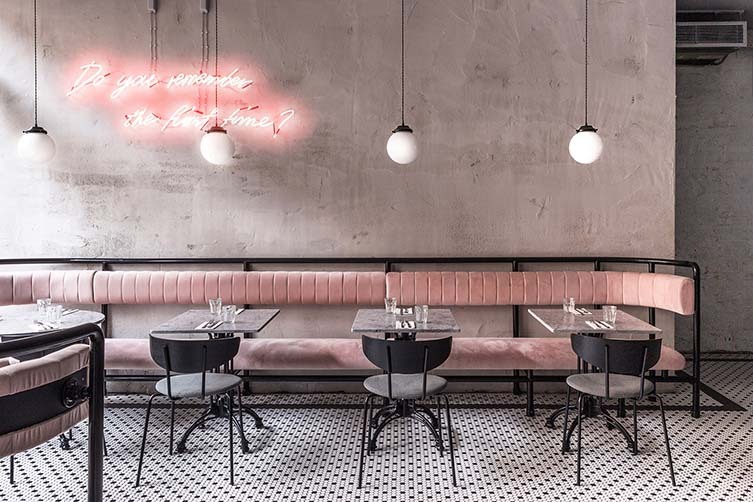 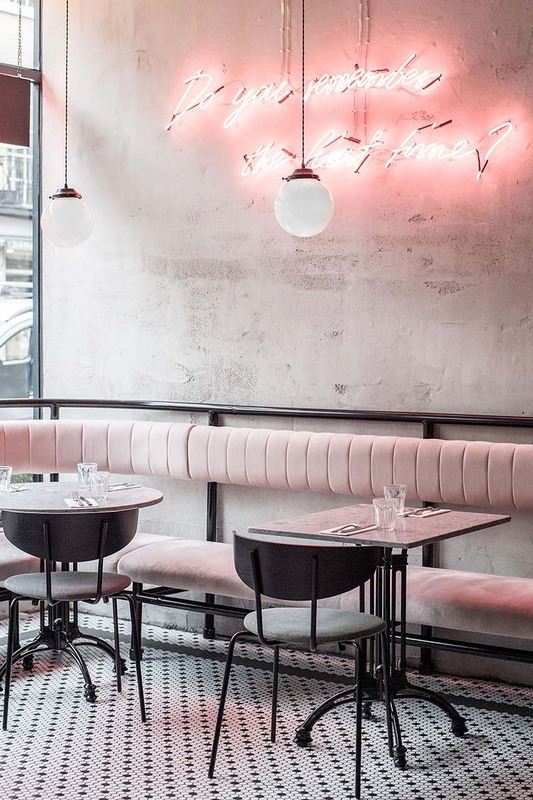 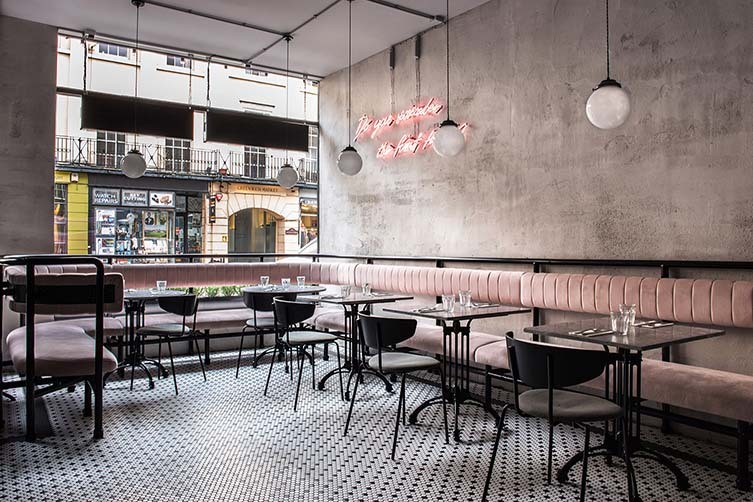 Contemporary colour and the essence of Grind make for a striking space here in the home of time, with brick walls and subtly distressed finishes clashing superbly with honed marble tabletops, black-and-white mosaic flooring, Grind’s signature neon signage, and a knock out glass-atrium roof. 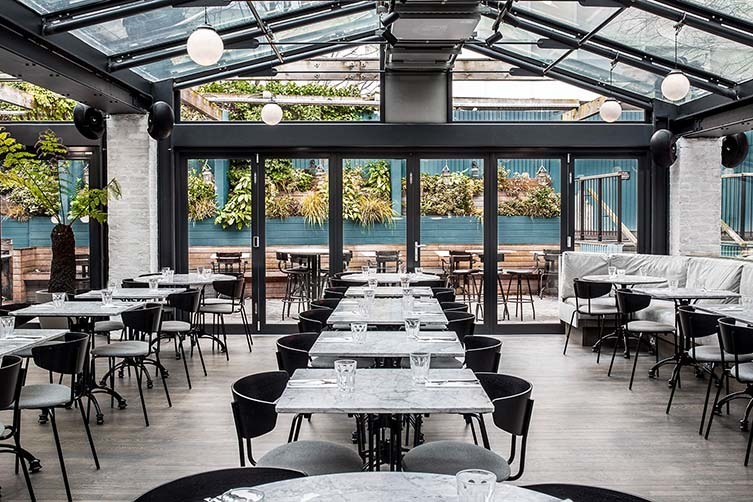 Whether you’re hitting up the bold deli whilst on the hop, enjoying a lingering brunch or lunch in the dining space with its own al fresco area filled with lush greenery, or contemplating your day with cocktail in hand at The Green Room decorated with deep-turquoise-blue walls, Greenwich Grind can be many things to many people. 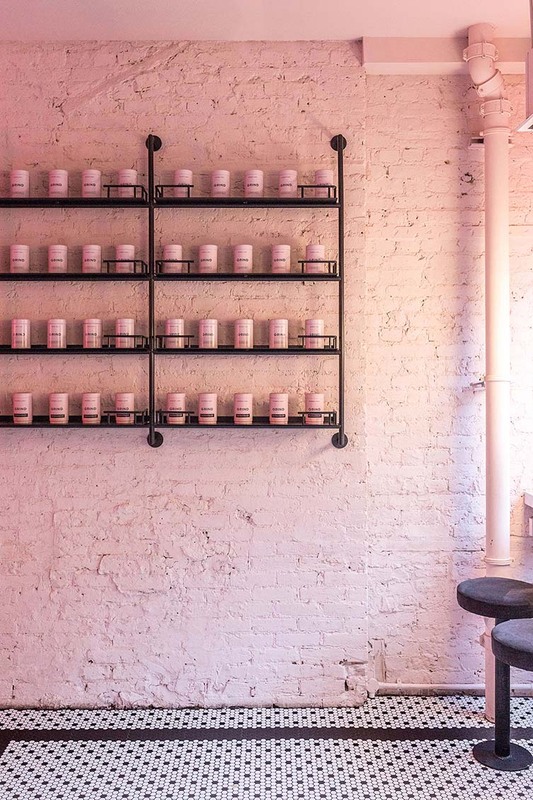 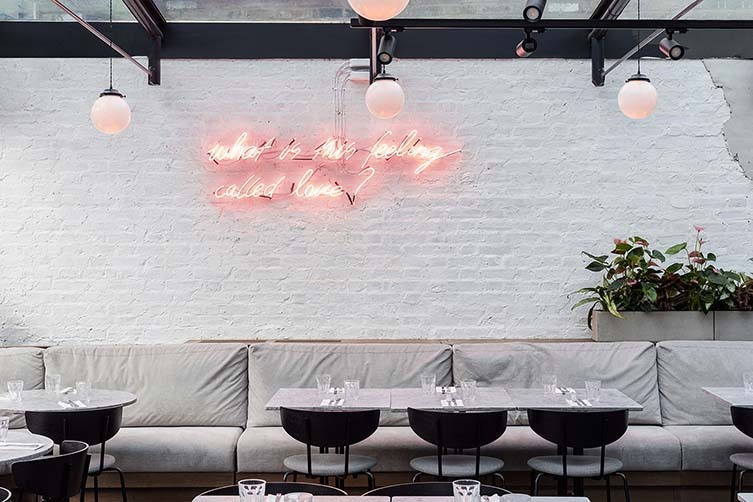 Redefining the London food and beverage social scene one café at a time, this new hotspot for south east London sees a brand nowhere near Grinding to a halt.